What 👏A 👏Year 👏👏👏 I've made many strides and checked off a couple boxes off ye olde bucket list. The biggest news is that I've left my job at Flipboard and amped to pursue a career in food for all of 2018. You can read about all the things I want to accomplish on my Services page. Before I march on, I wanted to take a look back at the big projects that brought me to this point. Kickstarter Make 100: Last year, my friends at Kickstarter launched the #Make100, a creative prompt to jumpstart our brains. Make 100 of anything, they said! I decided to host a party called the #Eggcentennial where we'd pop 100 egg yolks on camera to make a big montage. Along the way, I wrote a few guides to running a successful Kickstarter project. Smallhold mushroom challenge: It's not every day a friend asks you if you'd like a giant king oyster mushroom. Fireworks went off in my head as I tried to make as many small dishes as I could from the single fungi. Check out the Smallhold shipping container farm and agtech that allows restaurants to grow their own 'shrooms. Put A Egg On It 13 & 14: Our charming little zine is bi-annual and chock full of recipes, art, food illustrations and interesting conversations. It's been fun to recruit home cooks and chefs to contribute recipes. We also partnered with Misen to create a basic knife skills video. Stay tuned for our 10th anniversary issue slated for this spring. You're invited to our party on May 19, 2018 in Manhattan. Darrenkamping: Every year or so, my friends and I like to camp out in Lancaster, PA. I try to push the limits of cooking outside and this year was no exception. When I heard that the crew had a vegetarian chili going on the fire, I prepped a bunch of tasso ham and dug a pit for a DIY smoker. Psst...the recipe for tasso ham is in my cookbook. 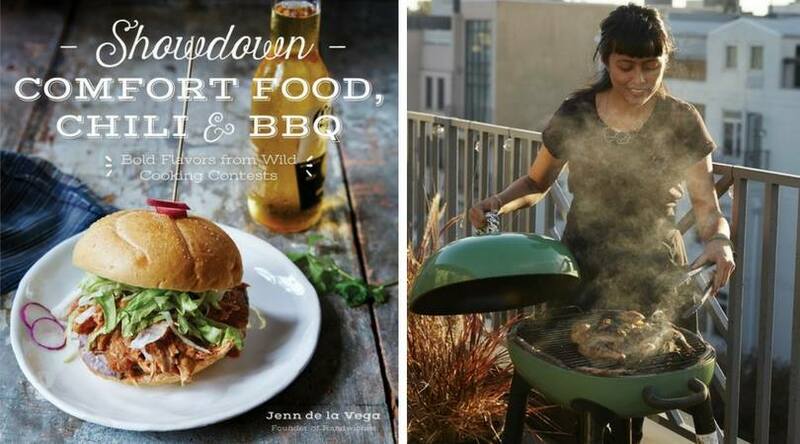 Showdown cookbook release & tour: Whoa, what a trip! I was amazing to bring my first cookbook to Barnes and Noble as well as independent book stores. You can see where I went on my Book page. Thank you to everyone who came to hear my story and for buying a signed copy. #LetHawaiiHappen: I was honored to visit Oahu with a few other writers to explore the local cuisine. Highlights included Tonkatsu Tamafuji, a tour with "Captain Hawaii" Gooch and a dinner at the home of Roy Yamaguchi. Sam and Nico's Burrito Wedding: These two love burritos. I'm not kidding! All they wanted for their wedding was burritos so that is all we served :) Guests had a choice of chipotle chicken, vegetarian or building their own bowls. Thanks to my crew, John and Emily, for making that dream menu happen. Eat It, Maria! To aid the victims of Hurricane Maria in Puerto Rico, Put a Egg On It volunteered in the kitchen with our friend Chef Maria Grubb. We raised over 10K for Serve PR, a new nonprofit formed to help restaurants recover from damage. Local Roots Pickle Classes: I teamed up with Wen-Jay Ying of Local Roots to teach Etsy and The Wing how to pickle their fall season produce. You can pickle anything! Thanksgiving: I returned to Fort Kickass in Bed Stuy with a last minute ranch dressing flavored turkey. I made a rich tarragon and caramelized onion butter that I stuffed under the skin. It was glorious. #MitchellAndAdam: What a way to conclude 2017! I was more than happy to cater the wedding of my dear friends Mitchell Kuga and Adam JK at The Strand Rare Books Room. We worked together to mash up their Hawaiian-Japanese and Jewish food cultures. Read about it in NY Times: Vows. Whoa, we’re already in the second week of January! I’m hoping to post my availability every month to help you plan events with me. For catering, please fill out my inquiries form. For all other projects and collaborations, my email is randwiches@gmail.com. Here is a shot of a sunset in Maui, where I spent my Christmas and New Year holiday. I'm ready for you, 2018 ! 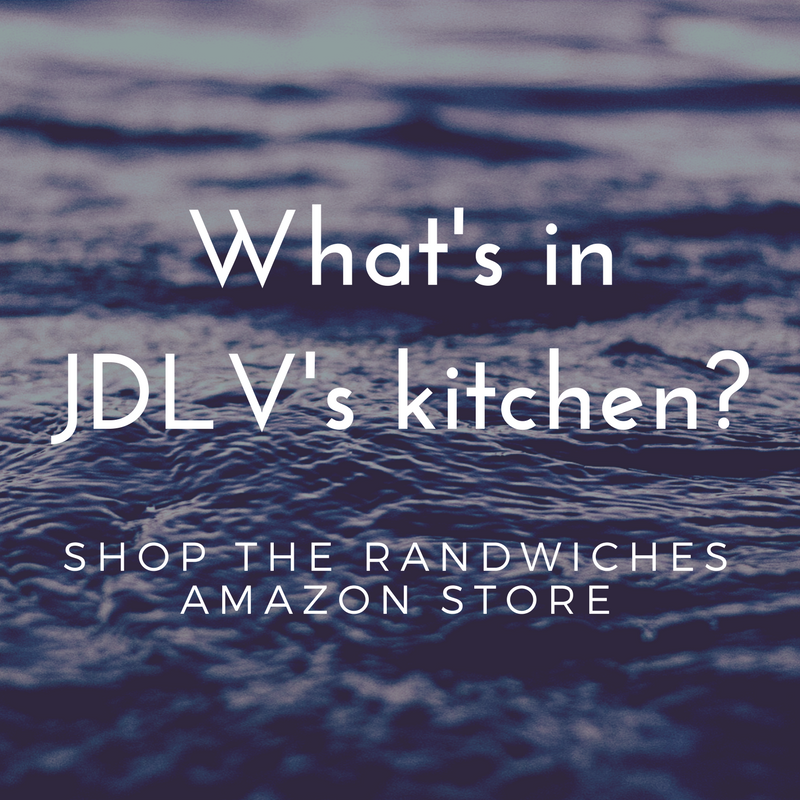 Available for random sandwich deliveries (minimum 4 orders! ), private cooking, cheese pairing classes up to 4 people and photo shoots. Available for all services including catering, food styling, private classes and more. See my complete list of services here. If we’ve ever worked together, please connect with me on LinkedIn and leave a recommendation. Ah, it's real ! My first ever cookbook is coming out on May 2,2017 on Page Street Publishing and distributed by MacMillan. For every copy of the book sold, we are donating to 1% for the Planet. I'm also putting together a book tour and here are all my stops so far (latest list on my book's webpage). If you know a book shop where I can have an event, please tell me! If I can take over your restaurant or space for a pop up, I'd love to. Thank you and I'm excited to share these recipes with you. That was quick! I'm celebrating 1 year as editor-at-large of Put A Egg On It zine. What does that mean? It sort of means that I'm a roving reporter, on call to brainstorm and execute features or projects. We announced this last year on my birthday and with this post where I made a version of Momofuku's Bo Ssam for my fellow Egg staffers. Since then, we've been busy cranking out new issues, coordinating pop-ups and making videos. Visit our shop to grab a copy of our latest issue or ask your local independent book store why the heck they don't carry this zine, GOSH. "Culinary Autodidact," my door-in-face introduction to cooking at a young age. "Dirty Kitchens," a self-guided curriculum in the Philippines. For those of you that only know me from the Randwiches Tumblr, I'll have you know that I practice many hobbies and juggle multiple careers. Plural, yes! CAREERS. Before I jumped head-first into my culinary adventures, I was a radio show host, an alternative periodicals librarian and student government employee in Davis, CA. When I moved to New York, I became a writer for a tv company and an electronic music promoter. Along the way, I've freelanced for music festivals, started a band, volunteered for food events and even interned at a cheese shop. Most recently, I worked on an app called Ultravisual. Just last week I started my new job at Flipboard as a community manager. I'm one of those people who doesn't watch tv or has much "spare time." I pack every single moment with the things I love. My philosophy about cooking is very much akin to that of my view of the world. There isn't a recipe. There isn't just one way to do any one thing. I'm always learning and am allowed to be wrong or change my opinion. I hope that when you read my posts, you think that you can try it and find your own way to enjoy food. My goal with this new blog is to pull together the threads of daily posts I've made on Tumblr into longer essays, galleries and guides. Don't fret, I'll still update the Tumblr with my adventures and inspiring sandwich gifs. You can also follow me on Instagram if you want to see what I'm working on.